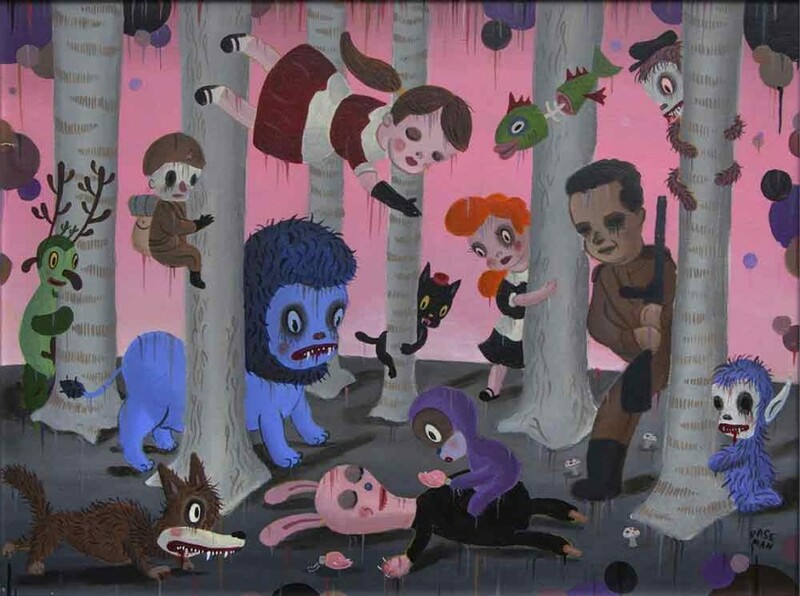 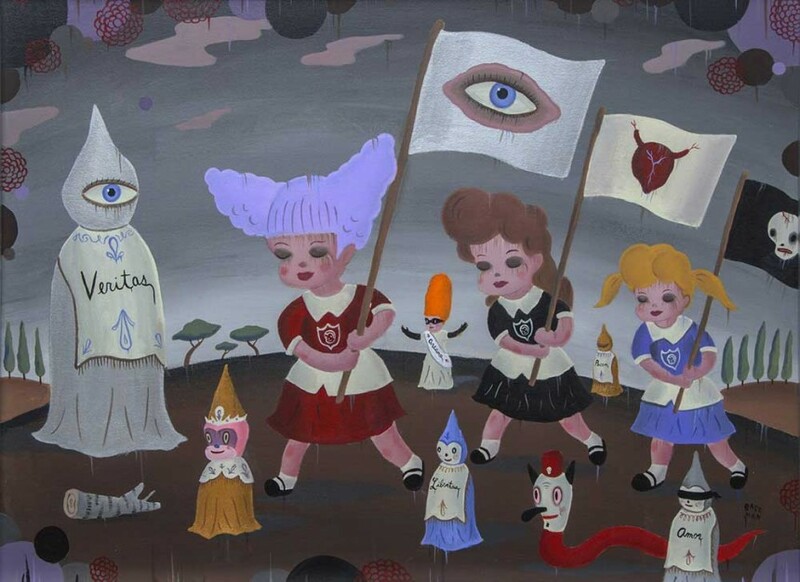 Mythical Homeland at Shulamit Gallery in Venice, CA extends Baseman’s recent retrospective The Door is Always Open at the Skirball Cultural Center and delves into the real and imagined histories of generations past, interpreting the Holocaust and its lasting effects on culture and identity. 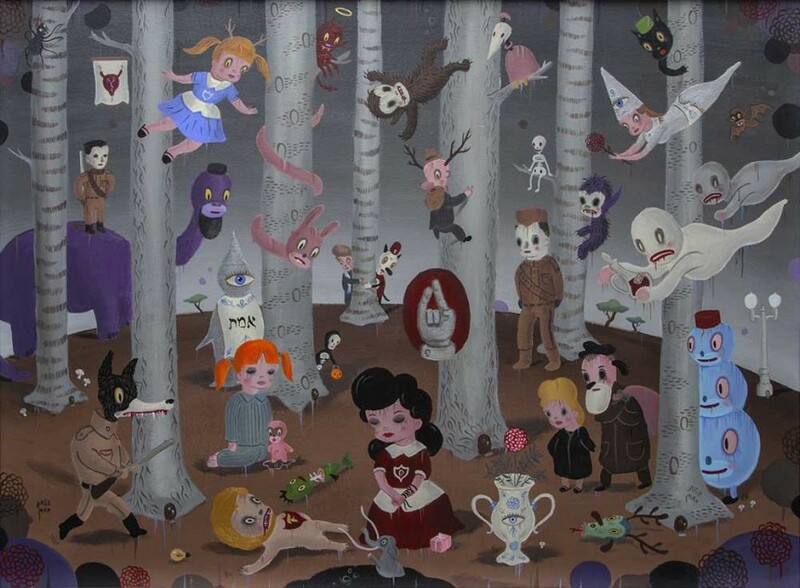 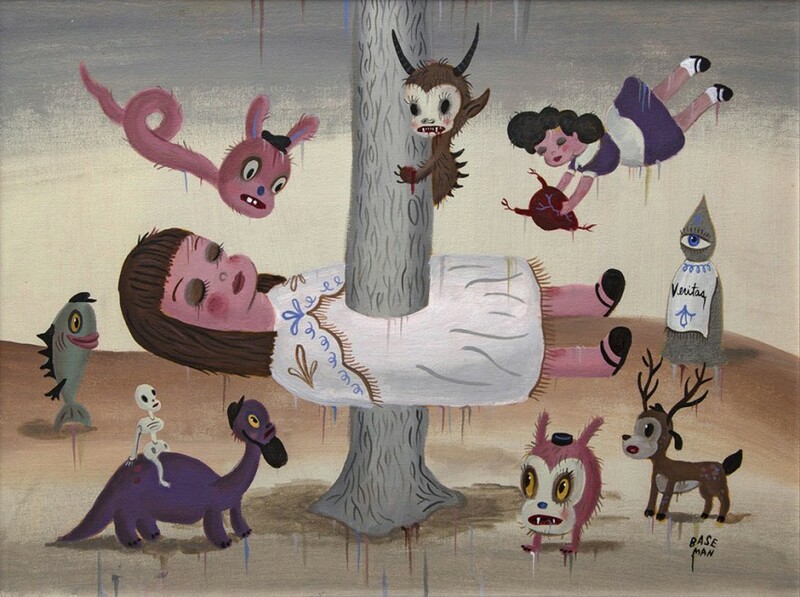 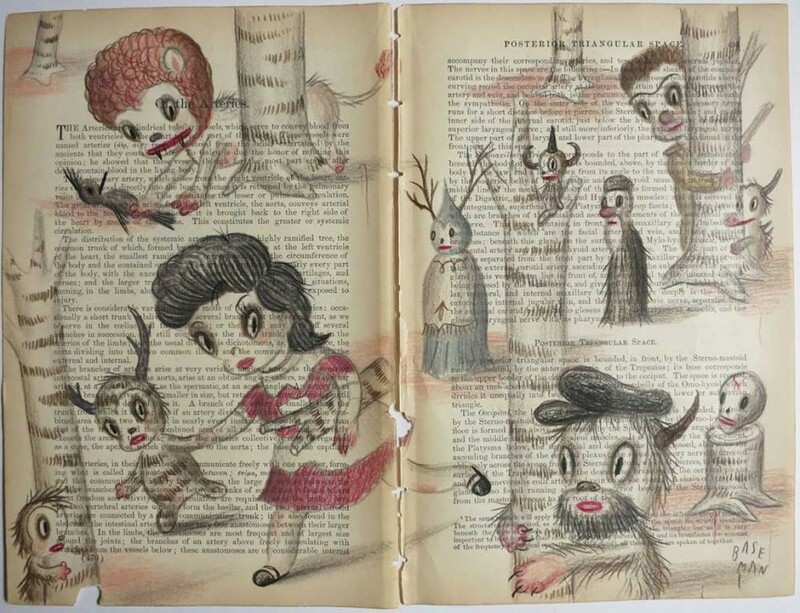 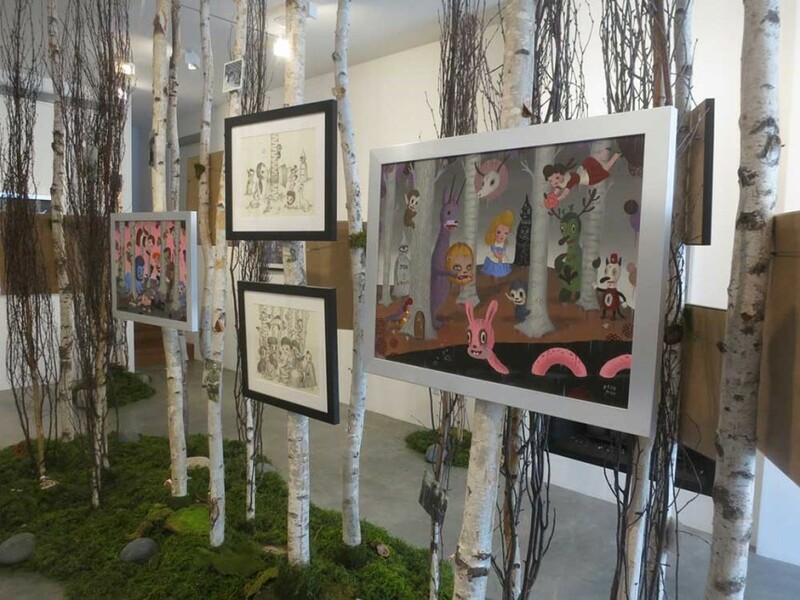 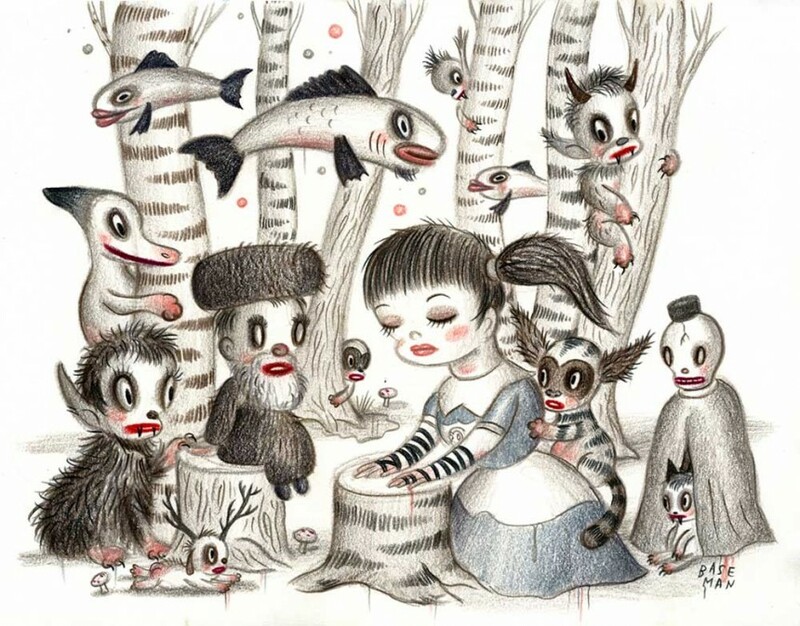 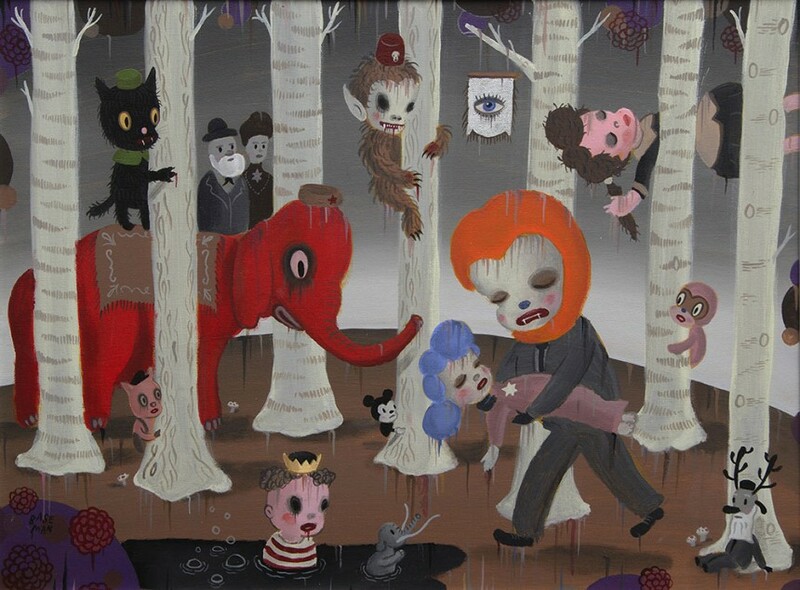 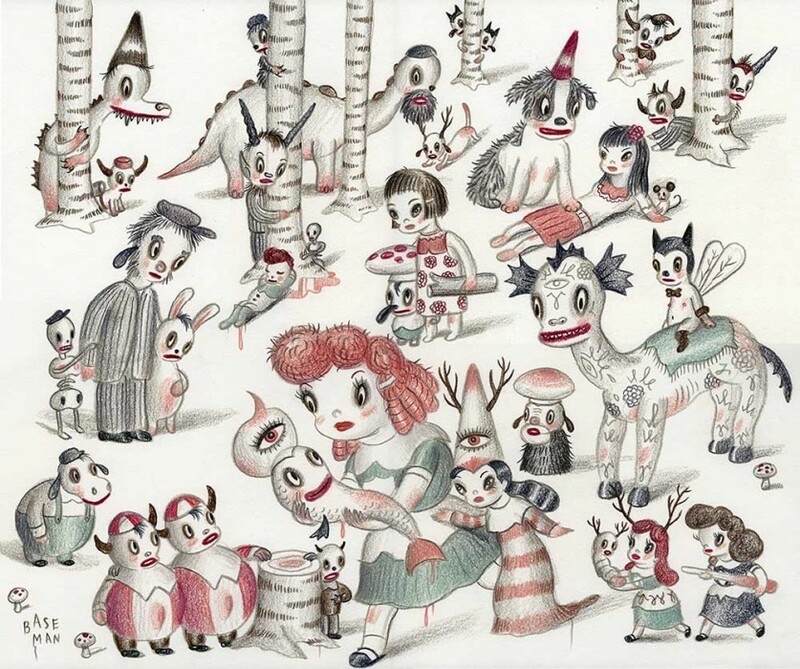 Twenty new drawings, paintings, and photographs and a short film documentary “Mythical Creatures” are installed in a literal birch tree forest, referencing the very environment into which Baseman’s father fled and survived among other freedom fighters during World War II. 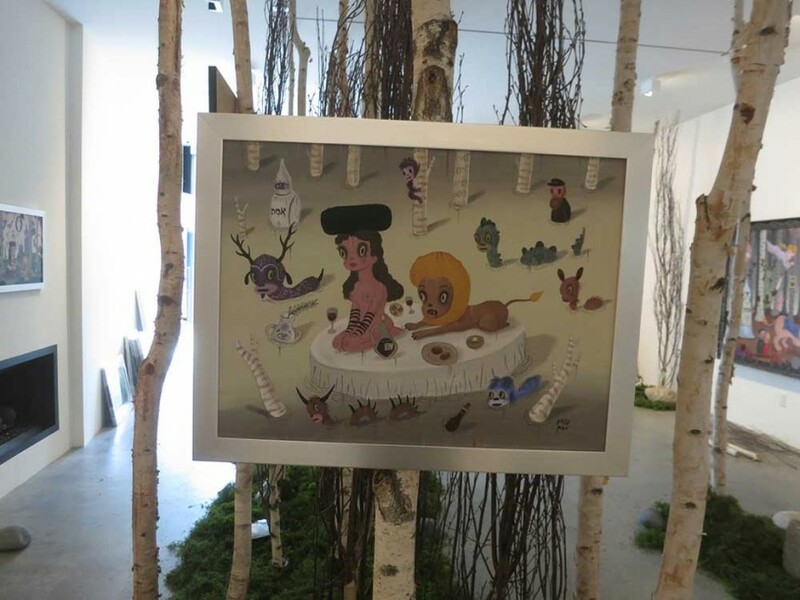 “Mythical Homeland” has been viewed at Aqua Art Miami (2013) and The Edinburgh Art Festival (2014).